Finding fun distractions and being well prepared can help making hair wash days go smoother for mommie and child. What Is It With Kids And Water? My two daughters literally loathe getting their hair washed. Unfortunately they have hair that is textured, course and tangles severely; so washing their hair is literally an event that has to be planned days in advance. Not to mention my oldest daughter has a mild case of Autism which makes washing her hair more difficult. Even if we are standing outside in the rain with and umbrella and it is simply drizzling she starts to have a panic attack. So you can only imagine how crazy it can get when its time to wash her hair. Over the years I’ve had to adapt to both my daughter’s situation; my oldest is afraid of drowning while getting her hair washed (no joke) and my youngest simply doesn’t like to get hair wet. I found that there are several things that need to take place when I wash their hair; this is why it has to be planned in advance because preparation is vital. If I don’t plan properly the entire day will be a catastrophe and the girls will not be happy. To keep peace in order in the bathroom I approach washing their hair like a football game. There’s the pre-show, the start of the game, half-time, the second half, and the post-game show. When I think of it this way it actually makes things go a lot smoother and I am able to get their hair done quickly and without too much drama. The “pre-show” consists of gathering the necessary items for their hair; detanglers, cleansers, conditioners etc. I find that using a good detangler before and after washing helps tremendously. 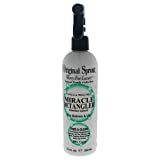 One of my favorite detangler sprays is Original Sprout Miracle Detangler. 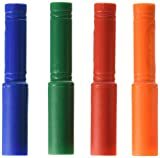 It comes in a handy spray bottle and is paraben, sulfate, and petroleum oil free which makes it really kid-friendly. Of course Johnson and Johnson’s No More Tears is always a go to for me I’ve using this one off and on since my kids were born. Using a two in one shampoo plus conditioner is always my first option. Having a combo cleanser is great tool for kids who aren't too excited about washing their hair; and it helps to save a lot of time and frustration. Even if you aren't into the two in one cleansers using a shampoo followed by a leave-in conditioner is also a good idea. You will still be saving time without having to rinse the conditioner out. Other needed items before the game starts would be things like detangler combs and curl cloths. 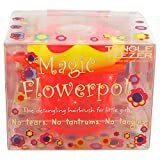 These items are great for children who have textured (curly,wavy) hair which can be difficult to untangle or easy to frizz. Faucet adapters are great way keep water out of your child’s eyes and face; depending on how you wash their hair. Some parents choose to wash their child’s hair in the tub while bathing while others will utilize the kitchen counter and sink. Either way the faucet adapters help give reach and more convenience when washing hair. The spray can be pressed close to the head keeping the water at bay and away from the face as much as possible. Having one on hand and ready to go before washing is essential for me. Once I have my detanglers, shampoos, conditioners and everything else I need it's time to start the “game”. As stated previously either the kitchen sink or bath tub can be used. I personally prefer washing their hair during bath time. Using the detanglers before I start the washing process makes things a bit easier once the actual shampooing takes place. After the pre-wash process is over and they are in the tub believe it or not; it's almost “half-time". Just like with any football game; half time serves as an entertainment/regathering process. The kids need to be distracted while the shampooing and conditioning is taking place and I am regathering myself to make sure that the "second half" goes smoothly. I’ve found that distractions help to take the kids focus away from getting their hair washed. 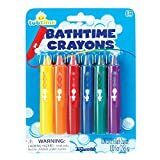 Using things like bath time crayons and markers and fizz tablets that change the water color keep them pretty busy. 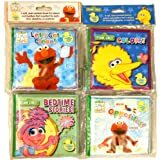 Another very neat way to help ease a bit of the tension is to record kid-friendly music and play it while bath/shampoo and sing along with them to their favorite songs. 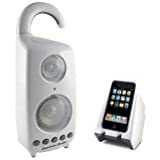 Use an mp3 docking pad with shower safe speaker to play music for bigger kids; for smaller children you can record their favorite books to be read out loud for them or even purchase audible children’s books. Even though your goal maybe to create fun distractions while washing your child's hair; this time can also be spent learning. 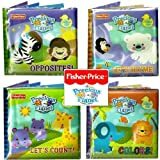 There are a lot of great bath time toys that can help your child with reading, spelling and math. You can take this time to challenge their mind and help them reinforce what they are learning in school. There are bath safe letters, numbers and books that can be used to create a fun learning environment in the tub. Between the music, fizzy colored water, shower wall drawings and learning you should be able to keep your child pretty busy while you wash their hair. Now of course the outcome is going to vary with each child; but I believe as long as you are well prepared before you start the process and have a few “fun” distractions during "half-time" it should help make washing hair a bit better for you and your kids. Thanks for all these great ideas. I have two daughters that absolutely hate to get their hair washed. They have long hair too. They want to look "cool" but don't want to wash their hair... Makes no sense to me. I will have to use some of these tips and tricks.